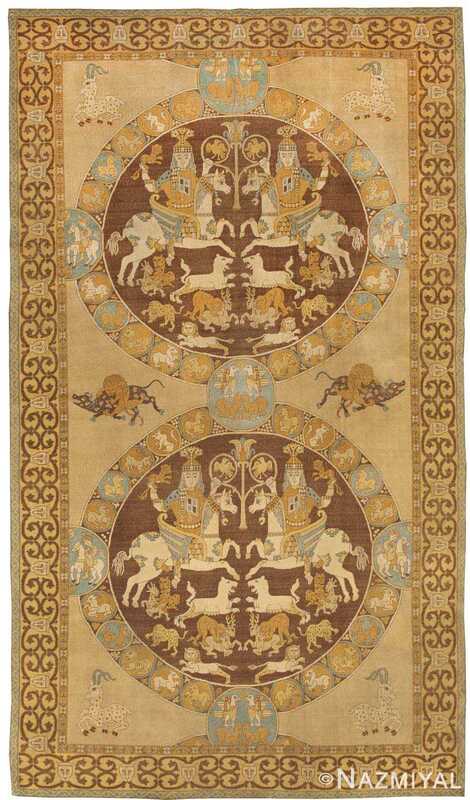 Antique Tuduc Rugs – Born in Transylvania, Theodor Tuduc (1888-1983) was a Romanian rug restorer and famous rug forger. He made high quality,exact reproductions of antique rugs and passed them off as authentic. His technical skills were so refined that many of his, now famous, Tuduc rugs, were acquired by prestigious museums. 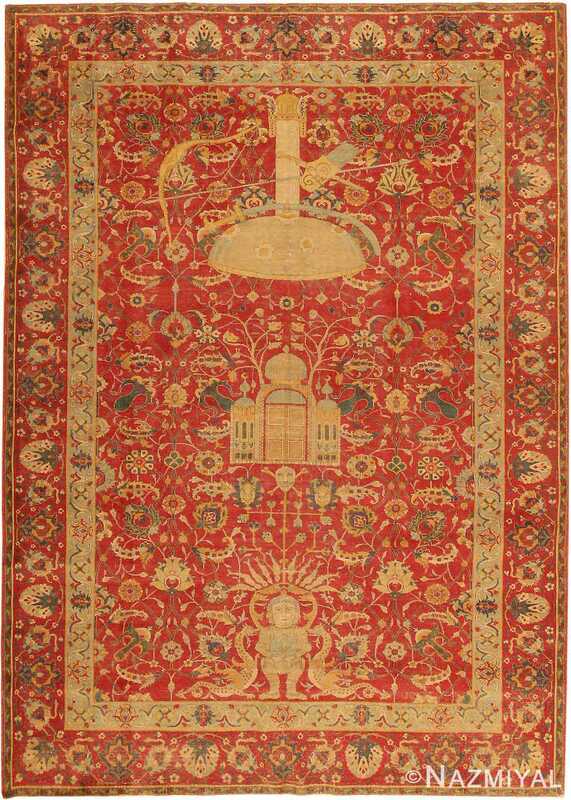 Some of Tuduc’s reproductions include Transylvanian, Lotto, Chintamani and Spanish armorial carpets. Funnily enough, the Tuduc rugs were such great and artistic carpets that they have ironically become highly valuable by antique carpet collectors. 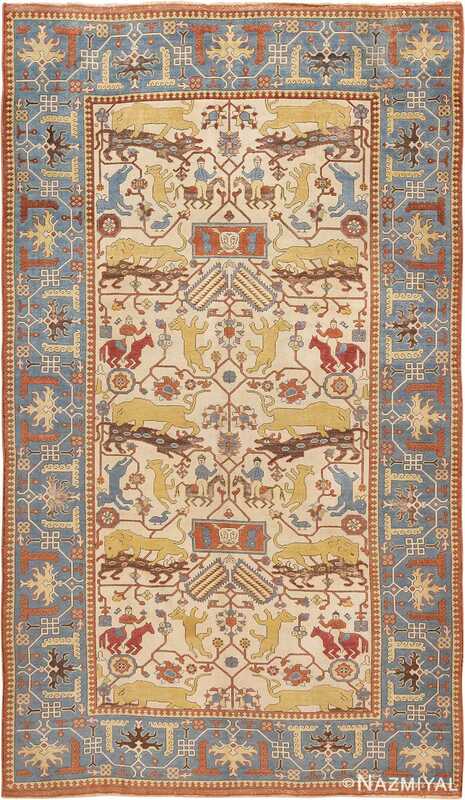 This impressive Turkish Tuduc rug woven circa 1900 features a double medallion pattern decorated with juxtaposed figures, animals and horsemen with a strong mythological appeal.